Heir to a longstanding tradition, Carl F. Bucherer once again demonstrates its considerable horological expertise. With the automatic movement equipped with a peripheral oscillating weight, the watchmakers of the Lucerne-based company achieved a major breakthrough in the field of technical innovations. 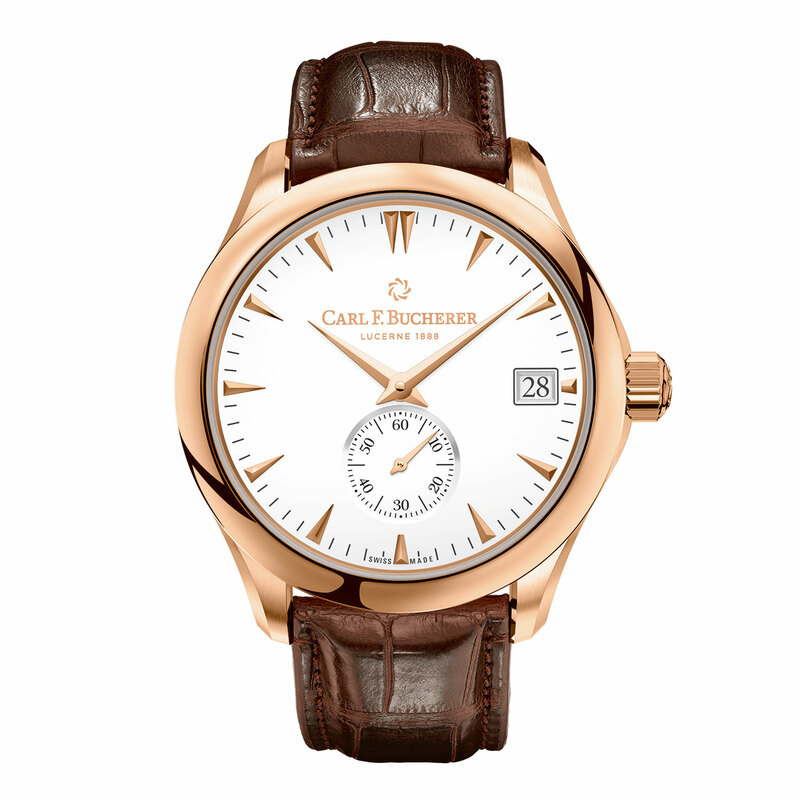 For the first time, Calibre A2000 is now associated with the Manero collection, synonymous with Grand Complications. An evolved version of this latest movement, the CFB A2050 calibre also features a small seconds display at 6 o’clock. It now powers the Manero Peripheral model, thereby broadening the prestigious range and placing the brand’s Manufacture right up amongst the key players in the field of Haute Horlogerie. As far as its exterior is concerned, the case has been entirely redesigned so as to endow this model with elegantly understated new proportions. The Manero more than ever embodies the ultimate classic and timeless men’s watch with a bright future of it. 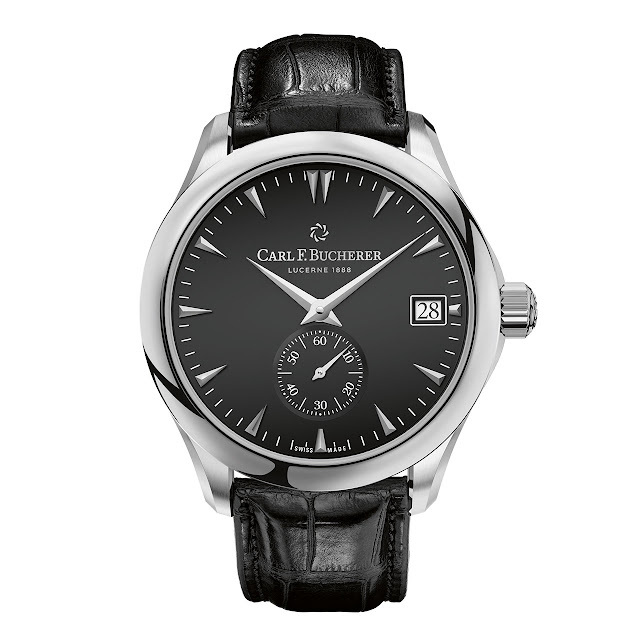 Mechanical automatic CFB A2050 calibre, 33 jewels, 55-hour power reserve. 18K pink gold or steel, 40.6 mm. Domed anti-reflective sapphire crystals, front and back. Water-resistant to 30 metres (3 bar/100 ft). Alligator strap or stainless steel bracelet, buckle in 18K pink gold or stainless steel.